If you don’t have a sweet tooth, surely someone in your family or group does. We all know those people who are constantly looking for the next place that they can get their fix of sugar. Morocco has plenty of opportunities to try something sweet…whether you are in the mood for a traditional cookie or a warm donut! 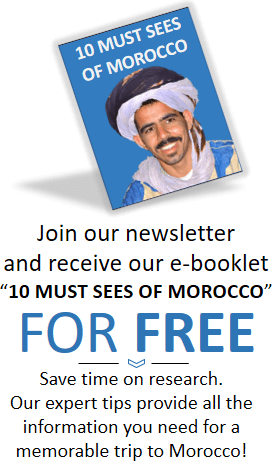 Here are our top 11 favorite desserts for people visiting Morocco! There are so many different types of Moroccan cookies that they should really each have their own category. Similar flavorings are used in the cookies, but each is unique and worth trying. 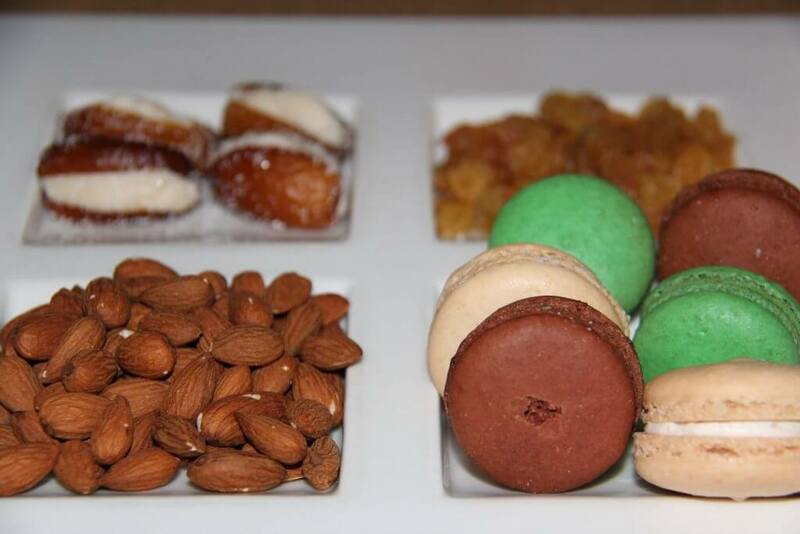 Many of the different cookies are made with almonds or other nuts and flower water. Gazelle’s Horns: Literally “gazelle’s ankles,” these pastry cookies are shaped in a crescent shape and are filled with an almond paste. They are also flavored with orange water and cinnamon. 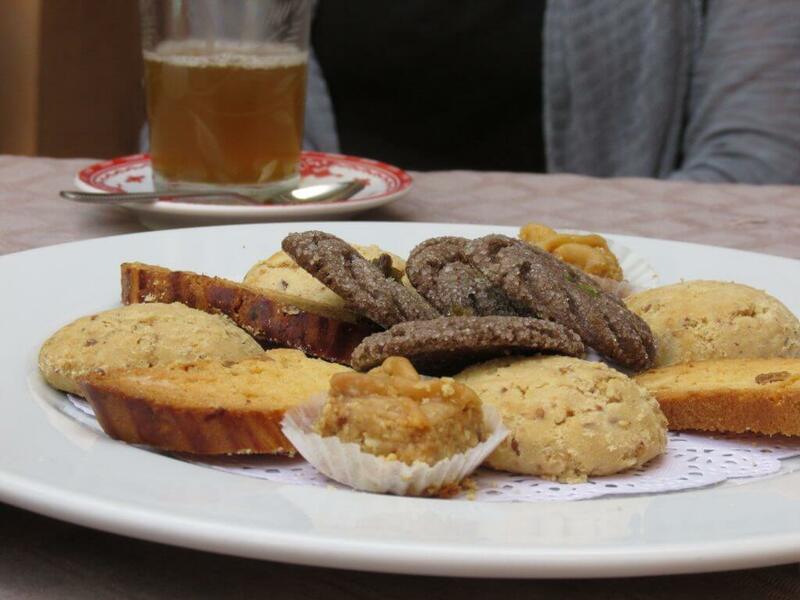 Ghriba: There are many different variations of this traditional Moroccan cookie. 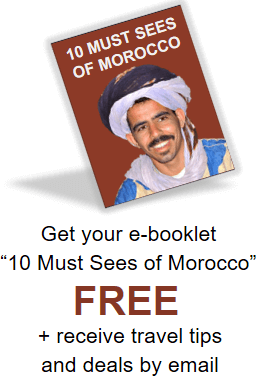 They are sometimes called Moroccan macaroons as well. They have a cracked outside and are usually chewy with a crunchier outside. They can be made with a variety of flours and flavors such as sesame, ginger, almond and more. Coconut Ghriba are very popular and are flavored with orange water as well as the chewy coconut. You might find sandwiched versions of these macaroon cookies sold on the street and fancier versions in restaurants and people’s homes. Biscotti (Fekka): These cookies are very like biscotti, except with the Moroccan flair of orange flower water. They are twice baked and often flavored with sesame seeds. Enjoy these with your tea…you’ll want to sample one of each type offered! That is perfectly acceptable…you can never have enough Moroccan cookies! Moroccan has some French influence, making it no surprise that there are delicious pastries available. 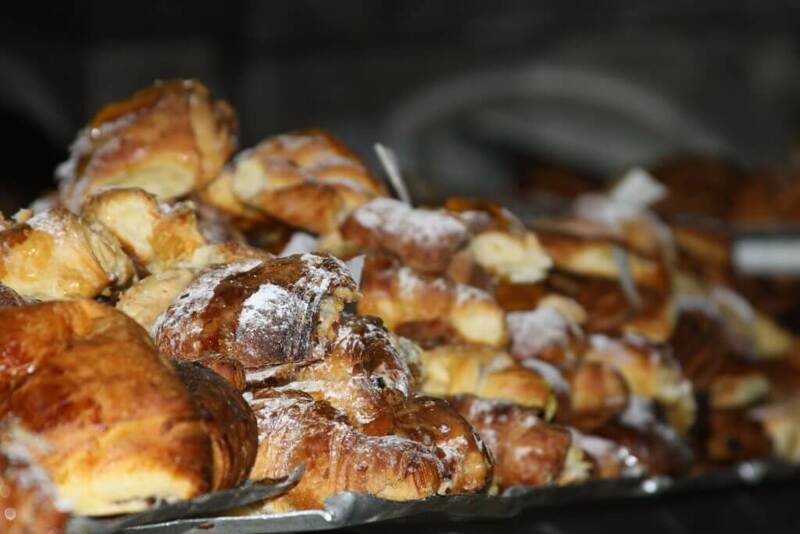 Try the chocolate petit pain or the almond croissant drizzled with honey. Pick some up in a café or at a corner bakery! You can smell them baking in the morning. You’ll also walk by carts of mille-feuille pastries (also known as Napoleons). These are layered with cream, pastry and topped with a white icing with almost web-like designs. It’s a perfect mix of flaky and soft; grab a square as you walk through the medina! Briouats are another type Moroccan pastry that is sold on the side of the street. These are triangle shaped pastries that have been filled with an almond filling and fried! You might lose track of how many you have eaten, as they are often small enough to eat in one bite. This sweet option is for those looking for a healthy alternative. If you are a cookie-lover, don’t dismiss this as a valid option simply because it is fruit! The fruit is often sweetened with cinnamon or sugar and makes for the perfect ending to a filling Moroccan meal. 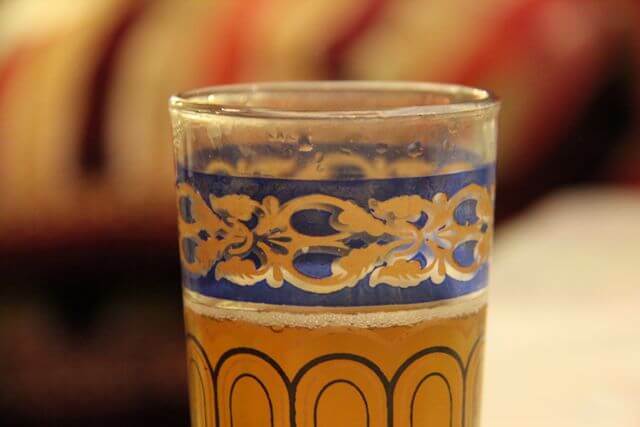 This traditional Moroccan tea is often surprisingly sweet to visitors who have never tried it before. 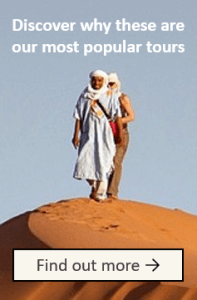 It is sometimes called “Berber whiskey” and is addictive in its own way. Sip your glass cup loaded with fresh mint leaves and a syrupy sweetness. Mmmm…can I get a refill? As soon as you smell them, you know you are going to buy them. It’s inevitable. The warm sugar from where the vendors are roasting them drifts along the air as you walk through the streets of Morocco and you are drawn to the stall. The peanuts are covered in a hard-candied shell. Buy them in a cone to snack on as you wander…you’ll be surprised at how quickly they disappear. Meskouta is the word for “cake” in Morocco. These cakes tend to be lightly flavored and served with either jam, honey or powdered sugar. Traditional cakes are often made with yoghurt or flavored with (you guessed it) orange or lemon. They can be eaten for breakfast or at tea! Here’s a less sophisticated but equally delightful treat. If you need a quick taste of chocolate and aren’t in the mood to eat a pastry or a cookie, stop by one of the little hanuts (little shops that sell everything) and grab one of these chocolate puddings. You can find them almost everywhere you go. They are small but they have a great rich smooth flavor. Soft, chewy, the color and flavor of honey…dates are the ideal sweet snack. You might be wondering if they could they even get better? Absolutely. While the classic dates are delicious, Morocco also presents a different take on the fruit. Try their dates stuffed with an almond paste or walnuts! 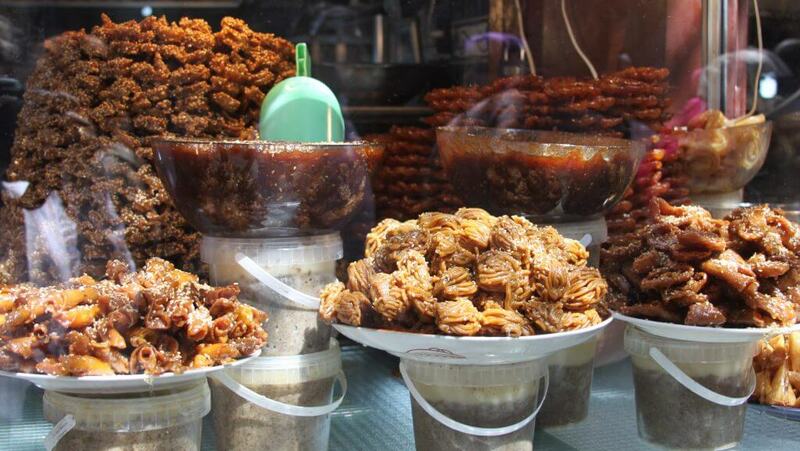 These are often served during Ramadan. Sfinge are Moroccan donuts. Get them hot on the side of the street! They are made from unsweetened dough, but once they are fried they are often dipped in sugar. They are not cake donuts but are a little fluffier with a crisp exterior. You might see people walking around with a whole string of them on a palm frond! Not only are these pastries beautiful, they are also delicious! You’ll see heaps of these being sold on the sides of the street, often with bees buzzing around them trying to get a taste as well. First, the dough is rolled to look like a rose and then it is deep fried. Afterwards, they are glazed in a honey syrup, which gives them their golden color. They are traditionally served at Ramadan and go well with harira (Moroccan soup) but also are eaten at special occasions. Sellou might be a bit unusual to someone who has never tried it before because it is an unbaked dessert with a grainy texture. Sellou is served during Ramadan and is also traditionally brought to women after childbirth, because of its high nutrients. Sellou is a mixture of browned flour, ground toasted sesame seeds, ground fried almonds, powdered sugar, cinnamon and anise seeds. It is served in a mound or in little paper cups. Calories don’t count on vacation, right? And it’s a good thing too, because you will want to satisfy your sugar cravings with every single one of these tasty treats! 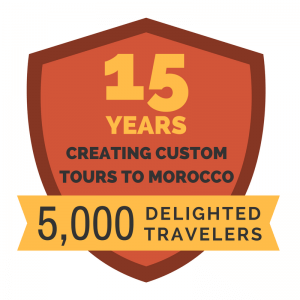 Ready to Discover Morocco With a Hassle-Free Private Tour?